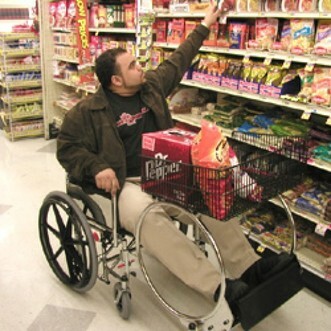 Find answers to frequently asked questions (FAQs) about your ADA rights and businesses. Just click on a question below to reveal the answer associated with it. How does the Americans with Disabilities Act define “public accommodations”? Can a facility be considered a place of public accommodation if it does not fall under one of these 12 categories? No, the 12 categories are an exhaustive list. Do both a landlord who leases space in a building to a tenant, and the tenant who operates a place of public accommodation, have responsibilities under the ADA? Both the landlord and the tenant have full responsibility for complying with all ADA Title III requirements applicable to that place of public accommodation. No. Religious entities are exempt. A religious entity, however, would be subject to the employment obligations of the ADA (Title I) if it has 15 or more employees. Are private clubs covered by Title III of the ADA? Private clubs lose their exemption when nonmembers use them as places of public accommodation. How is public accommodation discrimination defined under Title III of the ADA? People with disabilities may not be denied full and equal enjoyment of the “goods, services, facilities, privileges, advantages, or accommodations” offered by a place of public accommodation. Must a public accommodation make changes for people with disabilities? What kinds of aids and services does the ADA require to ensure effective communication with people with hearing or vision impairments? Are there any limitations on the ADA’s auxiliary aids requirements? Yes. The ADA does not require provision of any aid that would result in an undue burden or in a fundamental alteration in the nature of the goods or services provided by a public accommodation. However, the public accommodation must furnish an alternative auxiliary aid, if available, if it would not result in a fundamental alteration or undue burden. For example, a mechanical lift may be an undue burden for a small convenience store to install. However, if a ramp would provide access, the store may be required to install that as an alternative.